Col. Enrico Ferrucci: Gentlemen, we have finally received a shipment of ammunition. The guards now have bullets in their guns. The film starts in England March 1943 , when non-conformist Private Harry Frigg (Paul Newman) escapes from the guard house but he is detained again , previously he had escaped from prison dozens of times. Tunisia , April 1943 , allied generals are captured , it is a propaganda nightmare for the Allies. The generals are all one star and refuse to take orders from each other in order to scheme a getaway. Northern Italy , May 1943 , the group of American and European generals in prison at a luxurious Italian mansion . London August, 1943 , Major General (James Gregory) assigns Harry Frigg a dangerous mission as part a scheme . He is promoted to two stars Major General and ordered to get the generals out once he is trapped. Harry is parachuted to Northern Italy and imprisoned at the lush palace where are the generals . Harry is willing to escape, but then he meets a gorgeous countess (Sylva Koscina) and falls in love with her . At the beginning the generals suspect Harry Frigg of being a spy in their midst . 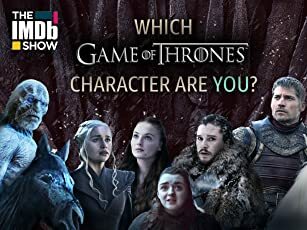 This is a warlike comedy with funny moments , bemusing situations and quite entertaining . Likable performance of Paul Newman as silly Private promoted general to help escape other generals from the custody of the Germans. Agreeable screenplay by Peter Stone , also producer . The screenwriter dabbles a comic battle of sexes between an illiterate Newman and a high-class countess . Wonderful Sylva Koscina as cultured countess who establishes a lovely and enjoyable relationship with Paul Newman . Top-drawer acting by secondary all cast as the generals as John Williams , Charles Gray , Andrew Duggan and Tom Bosley . Colorful cinematography in Techniscope by Russell Metty and appropriate musical score by Carlo Rustichelli . The motion picture is professionally directed by Jack Smight , American filmmaker with a penchant for the bizarre , macabre and extravagant entertainments . He began working for television in the early 50s . After successful ¨Harper¨ also with Paul Newman , in 1966 he realized the quirky caper titled ¨Kaleidoscope¨ . His best movie resulted to be ¨No way to treat a lady¨ , a very black comedy .Being continued by more peculiarities as ¨The Illustred man ¨. It's followed by the barely-released ¨Rabbit run¨, as he went on in TV films as ¨The screaming woman¨ , ¨The longest night¨ and ¨Frankestein: the true story ¨ . After that he directed unconvincing Sci-fi , as big war movie as ¨Midway¨ and one of ¨Airport¨ series . 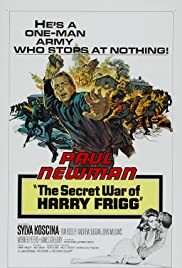 ¨The secret war of Harry Frigg¨ is an acceptable and passable film , a rare Newman film that turned to be such conspicuous lack of success what was a flop at box office ; however , nowadays is best considered.